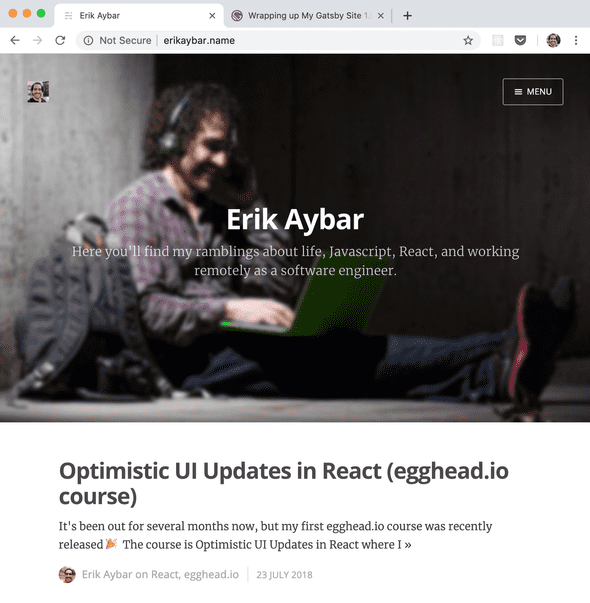 I’ve been dabbling with Gatsby, but also wanting to get back into the swing of writing and get a fresh site up. Time to wrap this up! Here a some of the reasons and excuses that have held me back from taking this live and replacing my Ghost blog. This is the biggest reason. I wanted that. 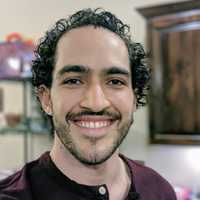 Fortunately, Dan has open sourced his blog and the source is available on GitHub. I was able to poke around and find out where the styles were coming from! 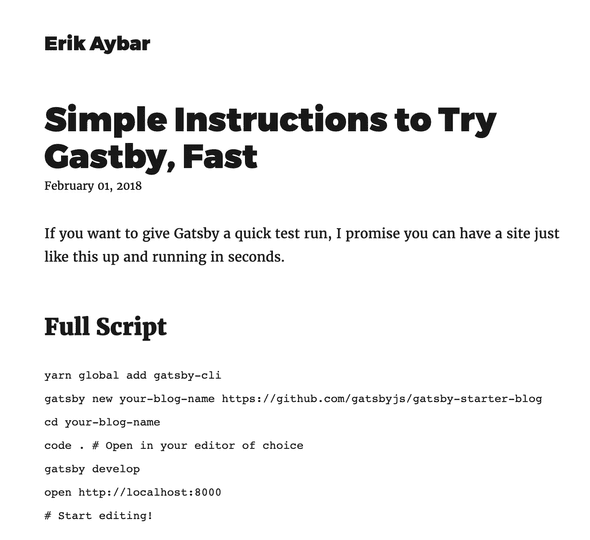 📝 TODO: Extract and publish as a standalone package. 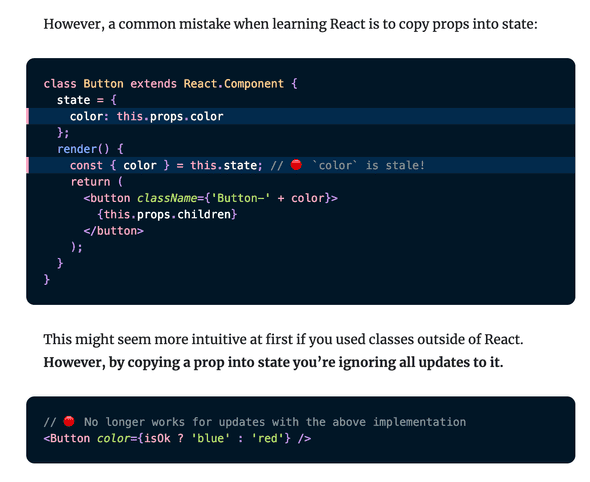 📝 TODO: Figure out how to enable syntax highlighting for inline code. 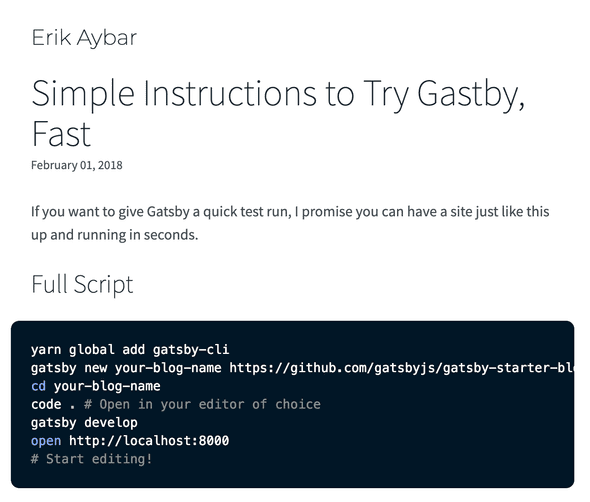 TODO: Write about My new greatest post! I just am now discovering the Markdown All in One extension. 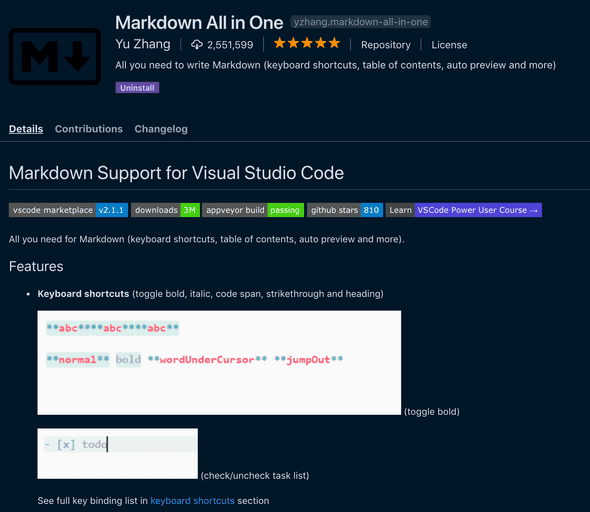 So far it feels like a great addition to VS Code considering I use it as my primary markdown editor! frontmatter.published: boolean so I can control which posts are live or in draft format. frontmatter.post-type: string Not sure on naming yet here, but I’d like to have a few different “types” of posts with different purposes. Dev log: Brief, brain dumps logging things I’ve learned or accomplished. Quality: low, Frequency: medium. Quick tip: Brief, standalone tips distilled down to share. Quality: medium, Frequency: high. Post: Full fledged blog post. Something I’ve put effort into writing/editing. Quality: high, Frequency: low. I know I’ve seen examples of this out in the wild, I’ll have to dig it up and share/poke around.